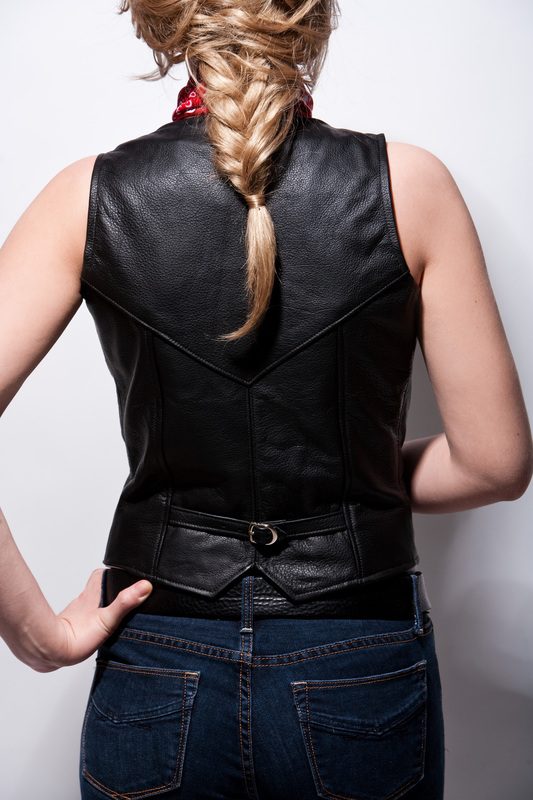 The Lissa Hill V Neck Leather Vest is traditional in styling. Shown here in mid-grade cow leather. Scroll down for important sizing and measurement info. Thread tape measure under arms, across shoulder blades at back and around fullest part of bust/chest at front. Relax arms at sides while keeping tape parallel with floor. This is your bust measurement. If this measurement falls on the ½ inch, round up.